The Los Angeles Lakers fought back from a 22-point deficit to take a five-point lead over the New Orleans Pelicans, before losing 119-112 in their third preseason game of the season. It was a unit of Brandon Ingram, Jordan Clarkson, Julius Randle, Kyle Kuzma and Josh Hart that was responsible for the Lakers turnaround. Clarkson led the Lakers offensively with his 24 points off the bench, tied for the most by a reserve this season. His 59 points through three games, off the bench, are also the most in the NBA this season. 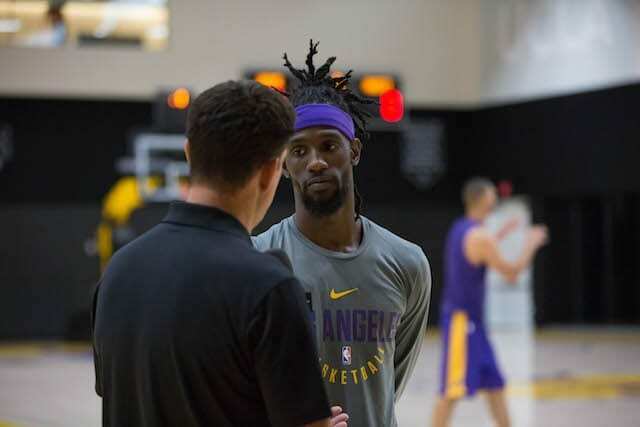 Afer struggling to accept his new role in the second unit in the first two games, Randle finally started to look like himself again. After the game, head Luke Walton says that Randle came in with a different type of focus at shootaround. 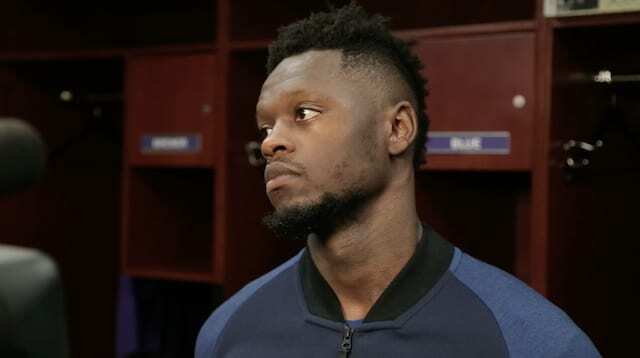 Plus, Randle admits he needed an attitude and effort shift. Lonzo Ball finished with 13 assists, tied for the second-most by a Lakers rookie (Magic Johnson did it twice, while Norm Nixon (1977) holds the record of 14) and Josh Hart really helped set the tone of the group in the second half that helped the Lakers erase their deficit. Plus, Kentavious Caldwell-Pope makes his Lakers debut. Check out all of our post-game videos below.